Is your team investing enough in user research? When was the last time you did user research … last week, last month, last year, never? Why should we spend more time thinking about the problem than working on the solution? Well, the answer is quite simple. The more we understand a problem, the more obvious the solution will be. I think this is why many really great ideas come from people who experience “ah-ha” moments when they recognize a problem in their own life or experience. They know the problem so well that the solution just pops into their mind. They don’t have to spend 95% of their time coming up with the solution. A common trap that a lot of product teams face is that they put the solution before the problem. But this is expensive and very risky. I think this happens because the process of working on the solution and creating deliverables is perceived as being sexier than the problem finding phase. 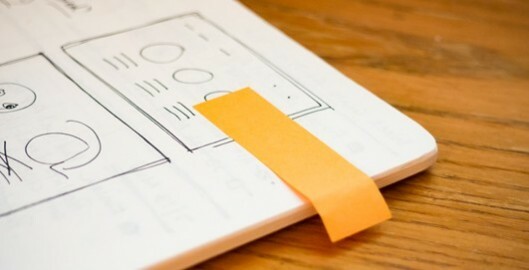 When you work on a solution you have tangible output, sketches, brainstorms, wireframes, etc. Deliverables such as these are more exciting for stakeholders, collaborators, and fellow team members to look at. And, it’s much easier for them to give feedback. These types of deliverables stimulate collaboration and conversation. However, when it comes to problem finding and specifically research, the deliverables aren’t as exciting. It’s not that these deliverables aren’t as valuable. But often times the output of research a findings report, personas, and many times more quantitative information. These types of deliverables just aren’t as enticing – especially if people have already been exposed to wireframes and designs. This makes it very hard to show the progress and value of the problem finding phase. Many people ask me, “how can I get my boss to understand the value of user research and usability testing”? What you need to tell them is that your team can’t afford to not research. Many people think that research is going to slow their team down and that it’s going to take a lot of time and money. Sure, it can be expensive and a long process. But, it doesn’t have to be. But if you don’t invest time up front to do research, then you’ll just end up paying for it later by spending time and money building features that you don’t truly know if people want or not. I’ve watched startups fail to do research and you know what happens? They launch and people do not come. Why? Because the product was built on a lot of assumptions. Now yes, sometimes you get lucky. But most product teams aren’t that lucky. When you fail to invest in research, you end up spending a lot of energy after you launching trying to tell, and often convince, people to use your product. You have to do far more marketing that you ever imagined. You have to convince people they have the product your problem solves, rather than have a product that gives people a lightbulb “ah-ha, that’s useful” moment. So why not spend a little time doing research and then trim down the time you spend building and making because you’ll only be building and making the features that you are much more certain your users want. I’m a runner and recently I was in physical therapy and rehab trying to overcome an overuse injury. It was so frustrating. But I learned all about the idea of pre-habilitation. The idea of prehab is that you take small measures to decrease the likelihood that you will get injured. Prehab involves strength training, stretching, and mobility development, all of which help with preventing injuries from ever happening. Prehab is an investment in your health so that you hopefully don’t get injured in the future. It’s the same thing with user research. Consider it prehab for your product. It’s an investment so you don’t get into trouble later. Instead of building features users don’t want and then needing to go back and change things, why not just do research so you can validate assumptions and hypothesis and build what people want? To help you do more research, you can grab a free list of 35 questions you can ask during user research interviews. Click below to get your copy.